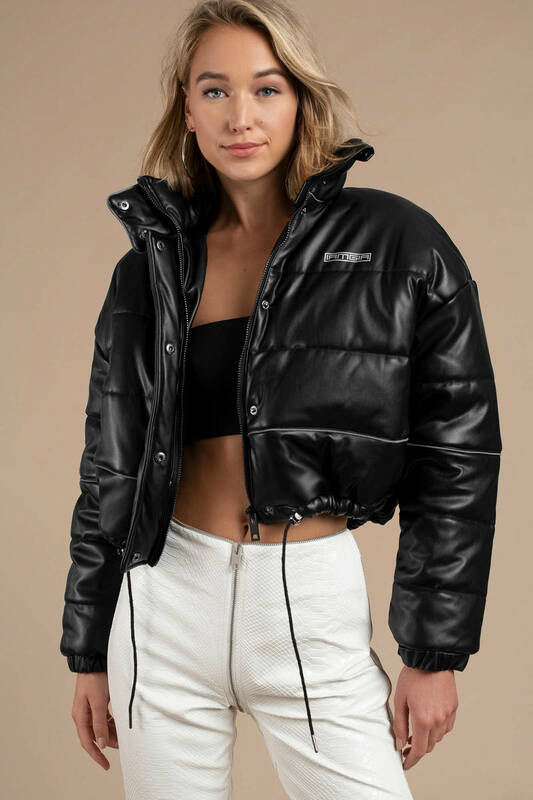 Check out Tobi's Hersilla Puffy Jacket Amp up your wardrobe with a little edge when you get your own I.Am.Gia Hersilla Black Puffy Jacket. This short puffer coat features a high neckline, strong silver snap buttons, and a full zip closure. Pair this chic and eye-catching windbreaker with high-waisted pants and your favorite black boots to conquer the winter season in style. 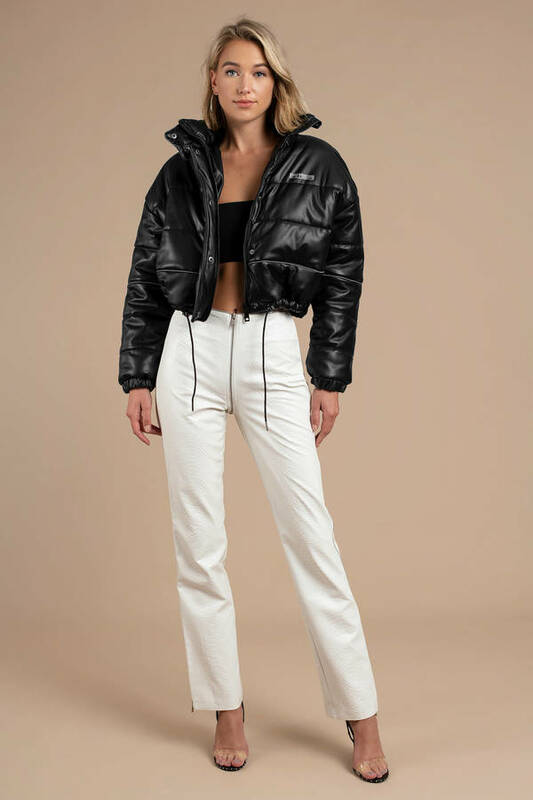 Amp up your wardrobe with a little edge when you get your own I.Am.Gia Hersilla Black Puffy Jacket. This short puffer coat features a high neckline, strong silver snap buttons, and a full zip closure. Pair this chic and eye-catching windbreaker with high-waisted pants and your favorite black boots to conquer the winter season in style. 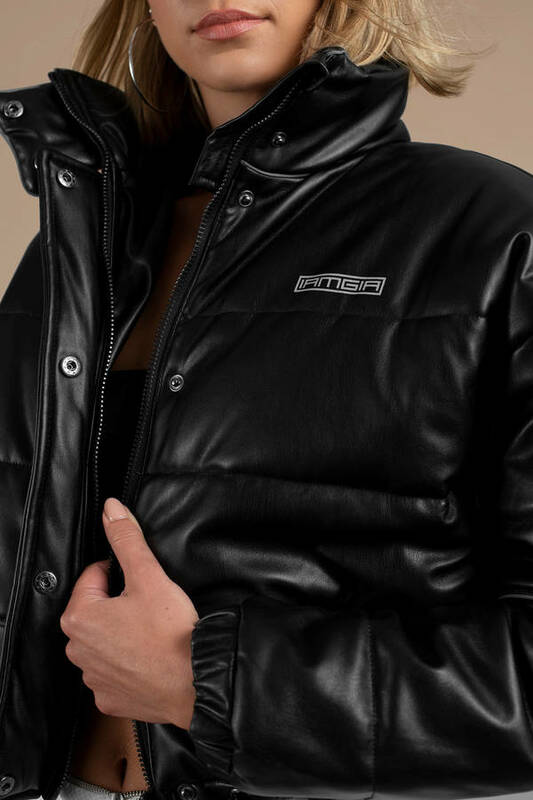 Preserve the puffer jacket’s reflective piping over polyester with right maintenance and care. 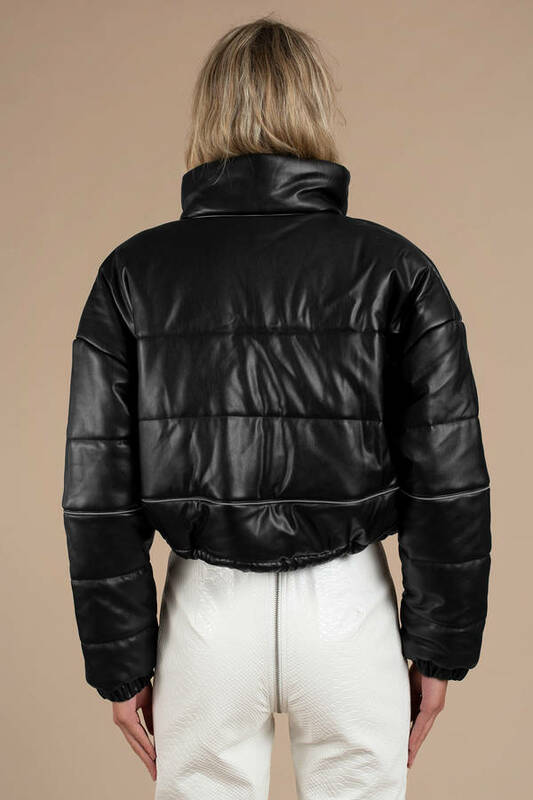 Achieve a chic winter look with the I.Am.Gia Hersilla Black Puffy Jacket in your size.